In Spanish cuisine this wonderfully rich and aromatic condiment is used as a base for many sauces. The process that I used takes about three hours so make sure that you have a little time on your hands, it is well worth it. 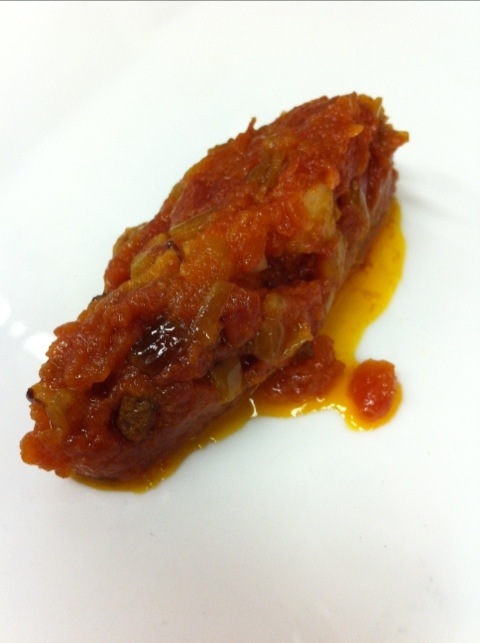 In the Italian cuisine this base is later used for a ragu, all you do is add meat. 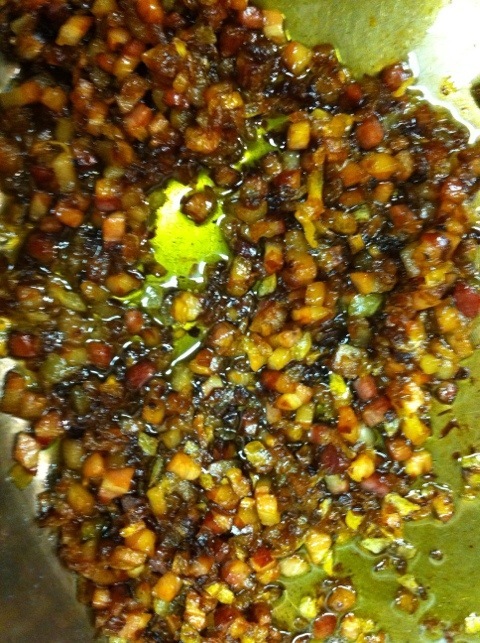 Brunoise the white onions and the pancetta. You can buy canned tomatoes and strain them or you can peel and seed Roma tomatoes. Either way, chop the tomatoes until they are in small pieces. Add the white onions to a large pot and add olive oil to come 3/4 of the way up the onions. Turn your heat on medium and wait for the onions to begin to sizzle, when you see small bubbles turn the heat to low. You want to maintain a very low heat while they cook. At this point add the pancetta. This cooking process will take about 90 minutes. 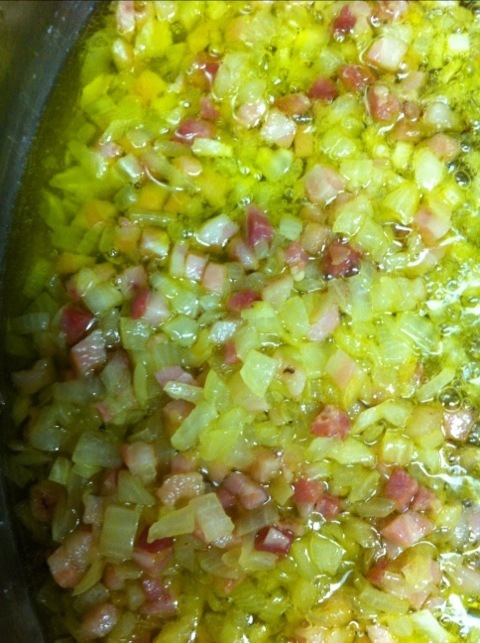 Continue to cook the onions and pancetta until they are the color of raisins (below). At this point, add the diced tomatoes and continue to cook for an additional 90 minutes or until the oil has separated out and it looks like you are lightly frying the mixture. Season and enjoy. I eat this by the spoonful but you can add other meats to it to make a ragu or add beans to make a protein rich side or dinner. What the heck does Brunoise mean??? Looks yummy and I bet smells awesome! Imagine the width of a matchstick, cut it to make it square! Its the smallest of all the knife cuts, usually 1/6″ cube. Practice on a case of potatoes and you will be pro! Here is the new knife cuts page so you can practice.